Keenly observing nature in all its forms—from fossil sloths to mockingbirds, primroses to children—Darwin saw that we all are related. Every living thing shares an ancestry, he concluded, and the vast diversity of life on Earth results from processes at work over millions of years and still at work today. Darwin's explanation for this great unfolding of life through time—the theory of evolution by natural selection—transformed our understanding of the living world, much as the ideas of Galileo, Newton and Einstein revolutionized our understanding of the physical universe. The American Museum of Natural History's video on Darwin. 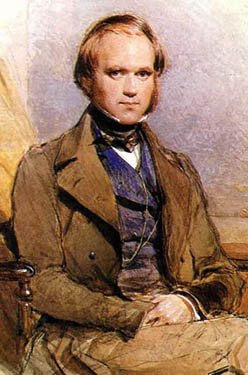 Darwin's biography from the British Library. Learn more about Darwin Days.